The Russian Ice Hockey Federation (RHF) and the Ice Hockey Federation of Uzbekistan (IHFU) have inked a cooperation of agreement, the RHF press service announced on Monday. The agreement stipulates a calendar of friendly matches between the national teams of both countries as well as bilateral encounters between the youth teams of Russia and Uzbekistan. The deal also envisages cooperation in the implementation of programs regarding training schools for coaches and referees as well as the organization of educational and training conferences. Dmitry Chernyshenko, the president of Kontinental Hockey League (KHL), announced earlier in the year that the Russia-based league was likely to expand the current number of its participating clubs and confirmed information that an ice hockey club from Uzbekistan voiced intentions joining the league. 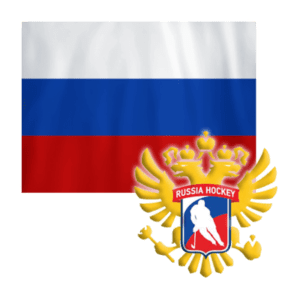 The Kontinental Hockey League was founded in Russia in 2008 and currently lists 25 professional ice hockey clubs from Russia, Belarus, China, Finland, Kazakhstan, Latvia and Slovakia. International experts deem the KHL as the premier ice hockey league in Europe and Asia ranking it as the world’s second most important right on the heels of the US-based NHL (the National Hockey League). KHL President Chernyshenko stated in September 2018 that the league chalked up 3.5 billion rubles (over $50.3 million) in revenue for the 2017/2018 season.